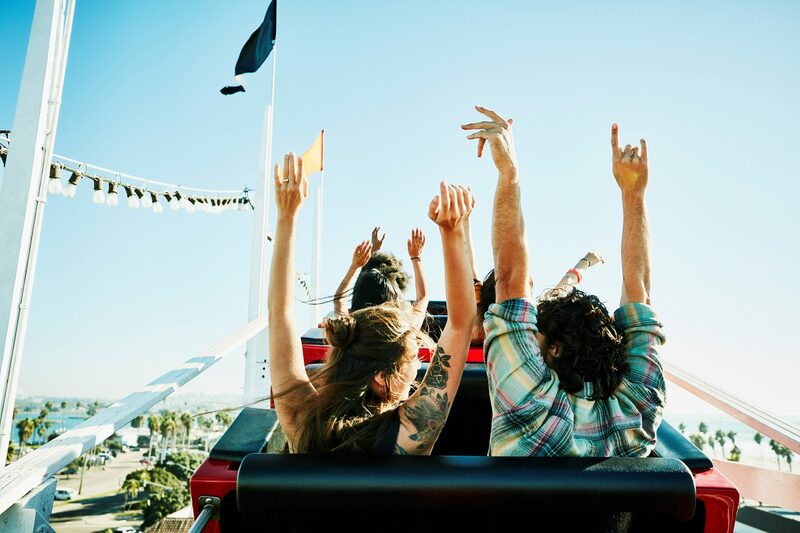 As many Britons finalise their plans for Brexit-induced staycations for the upcoming Easter and Summer holidays, OC&C Fundex, a global study of 40,000 consumers across 600+ brands, reveals that ‘fun’ is a key element many guests look for when deciding where to visit. 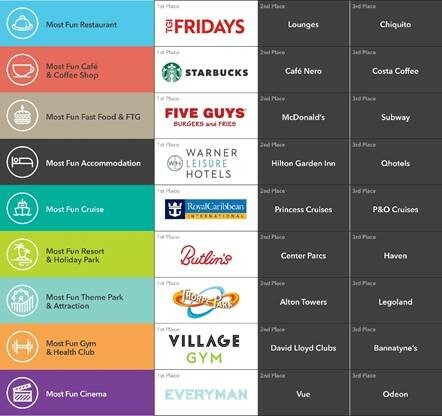 This is the first global study of the Leisure market in which consumers were asked to rate their experience of brands on ‘fun’, alongside many other key elements. Findings from the study highlight that an engaging and fun experience is an increasingly powerful way to encourage great reviews, help word-of-mouth marketing and drive repeat visits, all of which contribute to better financial performance. Among the UK pub and restaurant segment for example, brands in the top fun quartile enjoy repeat monthly visits from nearly 30% of their guests, the same figure for the bottom quartile of brands is only 17%. Being able to provide guests with fun experiences can be important in any leisure sector, but is crucial to theme parks, cinemas, and resort & holiday parks – fun is identified as a crucial differentiator in these segments. David Foster, Associate Partner at OC&C, said: “The findings of this study have wide reaching implications for hospitality and leisure brands, as the benefits of being a more fun leisure brand for the first time are proven to be real and significant. More fun brands typically benefit from a higher number of positive personal recommendations, better reviews and stronger brand loyalty. These factors are becoming even more important in a world where guests are increasingly looking online for inspiration when deciding where to go, are visiting a greater variety of brands and are less convinced by old-fashioned value-based promotions. OC&C Fundex identifies UK Fun Champions, based on ratings from consumers, with Thorpe Park being crowned as the Most Fun Brand in the UK, with an average ‘fun’ score of 83%, and four in five people giving the brand top fun ratings. 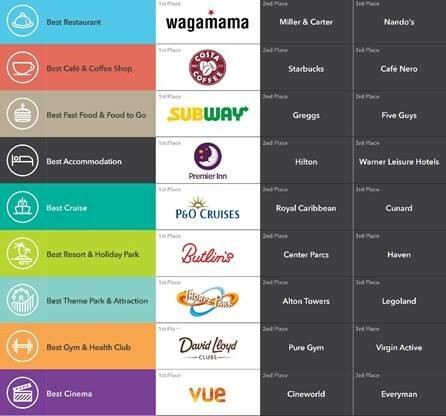 OC&C Fundex also identified the best overall leisure brands in the UK according to guests, with P&O Cruises, Wagamama, Vue, Premier Inn, Subway and David Lloyd all joining Thorpe Park and Butlin’s as the nation’s most favourite leisure brands. David Foster, Associate Partner at OC&C, said: “Certain brands have been using fun successfully to win favour with guests. Butlin’s scores very highly on the OC&C Fundex due to the strength of its team, evening entertainment and great atmosphere making it the most fun family resort experience in the UK. Similarly, guests return regularly to TGI Fridays because of its buzzy environment, energetic team and fun, indulgent food and drink menu. For Royal Caribbean, getting cruisers to try new things such as learning to rock climb or surf on-board is a key way to help guests have fun. Keep if fresh: Guests typically have more fun if they can get away from more mundane, everyday experiences and try something new. Brands can use this to their advantage by encouraging guests to be a little more adventurous in their choices. Make it shareable: Interacting with people is often a key driver of fun. Brands should capitalise on this by providing an environment that brings people together and gets them talking (and Instagramming). Fun is a team sport: The most fun brands have strong committed teams that are fully bought into what the brand represents. Whether the team are creating the fun or merely facilitating it, the experience is written into the DNA of the team and how they interact with guests. Beware the fun-killers: Slow service, inconsistent standards and poor value for money are just a few of the most common mistakes brands make that stop guests having fun. The research also uncovers how much fun different countries have – despite France being home to the most fun leisure brand across all the markets surveyed, a historical-themed amusement park: Puy du Fou – the research suggests that the French have the least fun of all countries surveyed, with the British mid-table ahead of the Germans and the Chinese and Americans top.